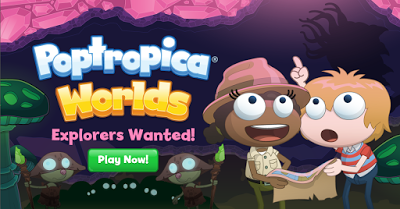 Poptropica Worlds and Crisis Caverns, Here at Last! 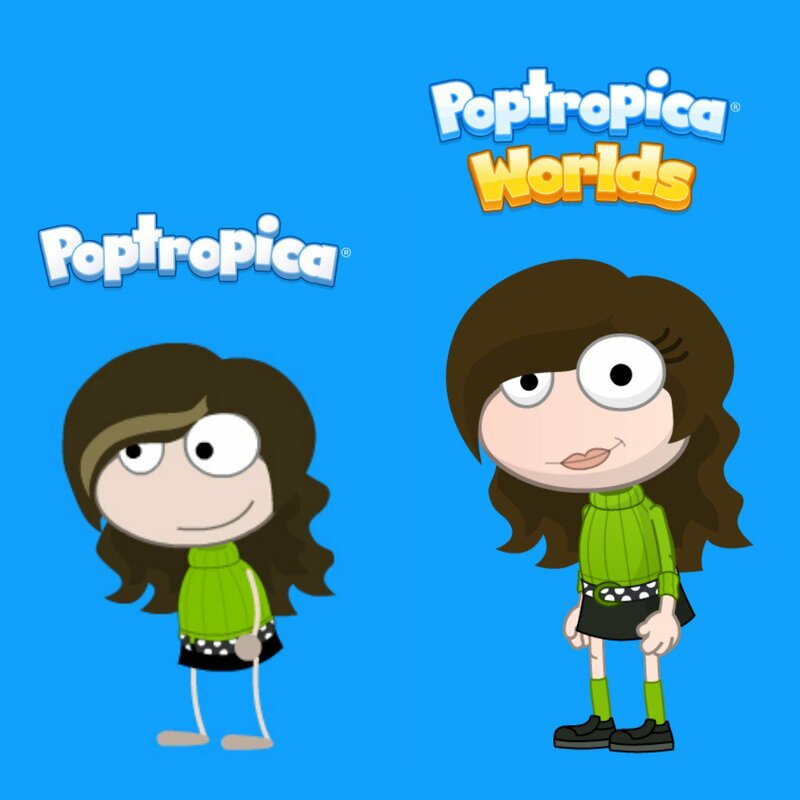 It has finally come -- the event we've all been waiting a year for -- the release of Poptropica Worlds! (Well, it actually happened a couple days ago, but it takes me a while to emerge from my slumber, OK?). What's new about this monumental update, you might ask? 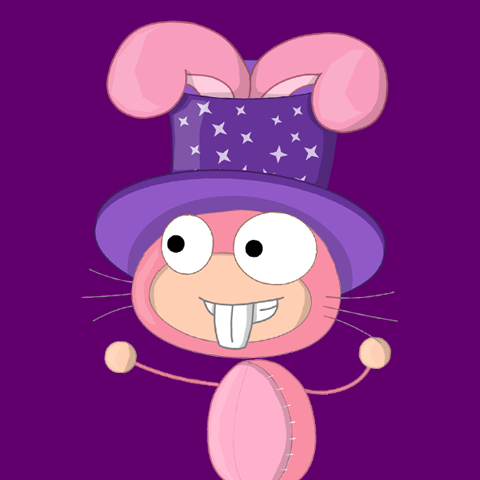 An all-new engine, built in Unity from the ground up, instead of Flash like the previous two Poptropicas. The same art style, music, and creativity you know and love. With the new engine comes a new island -- the first one since Escape from Pelican Rock in 2015! It's called Crisis Caverns, and as we all know from certain sneak peeks, the concept for this island had been brewing in the Creators' minds for a very long time now. 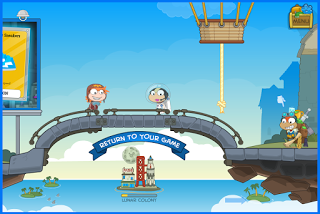 Although it's quite short and easy, it's a good demonstration of what the new Poptropica can do. Poptrickia will be posting a full written and illustrated walkthrough for the island within the next couple days on this page (and perhaps even a video guide if I can figure out how to do it without the lagginess destroying my mind). Watch this space! Currently, the major problem is the controls -- they are ridiculously frustrating and unresponsive. Now I wouldn't consider my laptop the epitome of modern hardware, but it's a decent 2.5 GHz Intel i5 (with the integrated graphics card; yes I know, you may all mock me now). Poptropica is primarily frequented by young kids though, who shouldn't be expected to have high-end hardware. That said, although your mileage may vary of course, I have had the best experience with Firefox. It uses the least amount of memory while also using multiple cores, unlike Chrome or Edge. And only once did the game get legitimately stuck, at which point I had to reload the page. Thankfully, I barely lost any progress, which is more than can be said for some of the previous updated islands! 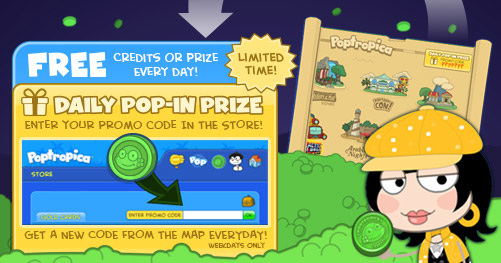 And lastly, Poptrickia just became an official Poptropica VIP blog! Skinny Moon gave us some nice badge images, and I'll be putting one up pretty soon, probably on the right side of the header. 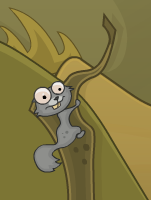 It's an exciting time in Poptropica again. Enjoy Crisis Caverns and exploring Worlds! While the Creators are busy working away on expanding Poptropica and the "New Poptropica" using Unity coming later this year, there haven't been any new islands announced, and it's no wonder that there hasn't been much news in the Poptropica community lately. So basically what I'm saying is, laziness was totally not the reason I went so long between updates on Poptrickia! Totally. 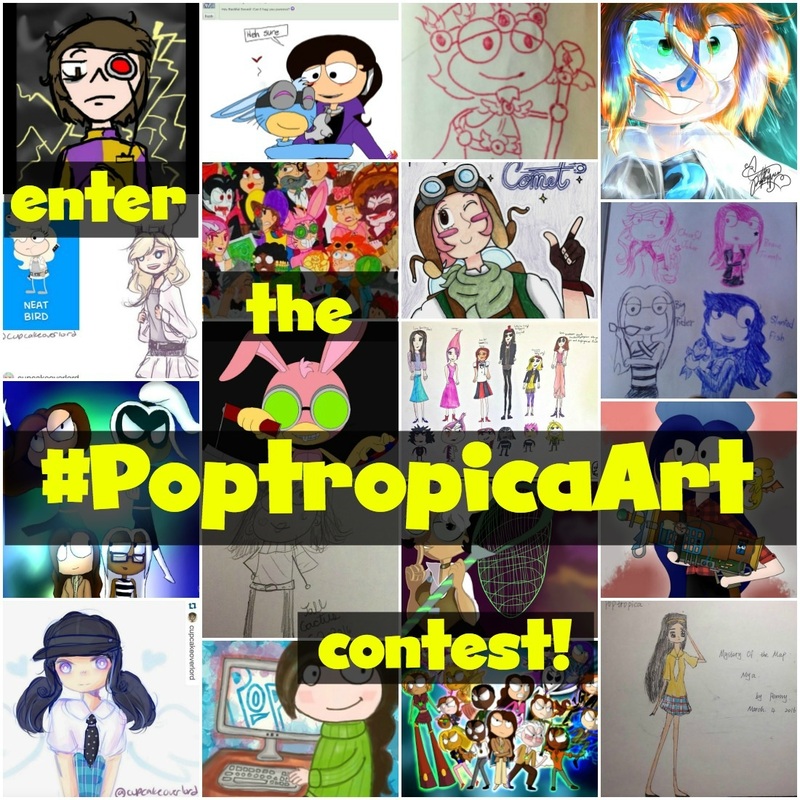 Poptropica now has an official Art Contest! For years, Poptropicans have been making fan art and posting it on sites like deviantart or to fan blogs. But this time, if you like drawing and you love Poptropica, you can send in your work directly to the Creators by tagging it as #PoptropicaArt on social media. On the week of September 5, the Creators will announce the three winners and they'll get free memberships! Here's the official announcement with more details. Interestingly, most social media sites only allow users who are 13 years or older (which is a rule that everyone totally follows without question, amirite?). 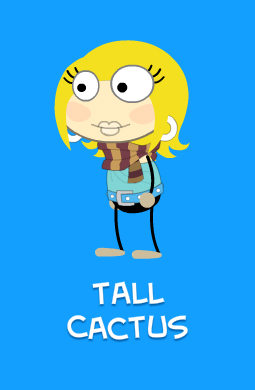 On the other hand, Poptropica's stated target audience is ages 6 through 15. 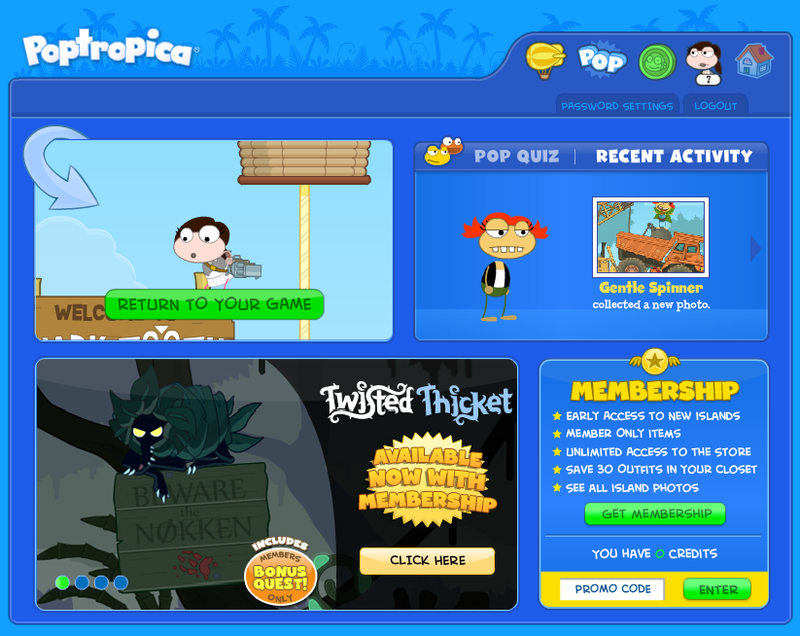 The fact that Poptropica is focusing so much on social media these days shows that a large number of Poptropicans today are teenagers who started playing back when they were younger (including myself and most other fan bloggers). ​So, will Poptropica keep changing the theme of its content to match the new audience (as they've been doing in some of the more recent islands), or will they let today's players rotate out and focus in on the newer generation (which is possible, since Monkey Wrench Island is targeted at such players). Only time will tell, but either way, big changes will have to come to Poptropica. I, for one, am equally excited to see it go either way! the point is to learn by doing so you can feel the satisfaction of completing other islands without relying too much on my walkthroughs (not that there's anything wrong with seeking help when you're stuck). But for completeness, yes I will write the guide. Soon. In other news, the Creators have just introduced something new to the Store: Bronze Cards. They're only here for about a month, so they're featured in the Store. All of them are cards that either were limited to members only during Early Access for an older island, or popular costumes from an older time in Poptropica's history that are being featured again. So get them while you can! To help you get your hands on these Bronze Cards, there's something new on Home Island: the Daily Spin Wheel! Like many games, this allows you to click on the wheel to spin it and get a randomly selected prize, except you can only spin it once a day. It's meant to encourage people to log in and play every day. Most of the prizes are credits, except for the Grand Prize, which gives you one of the new Bronze Cards, chosen at random. 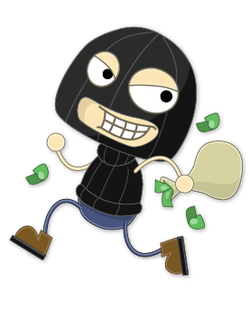 (And if you don't happen to get the Grand Prize, the vast amount of credits you're accruing from the wheel and other recent sources will probably let you buy one directly from the store). Has anyone else noticed that the spin wheel itself is continuing a Monkey Wrench Island-inspired theme? The fact that it's a ship's wheel, the weathered look, the rope binding it together, all makes it look island-y. Is that the new theme that Poptropica is going for on the Home Island? In case you forgot, the theme that Home (and Realms) has had so far is a sort of Viking-mythology inspired sky-paradise. It would be interesting if the Creators are going to periodically change up the theme of Home Island. 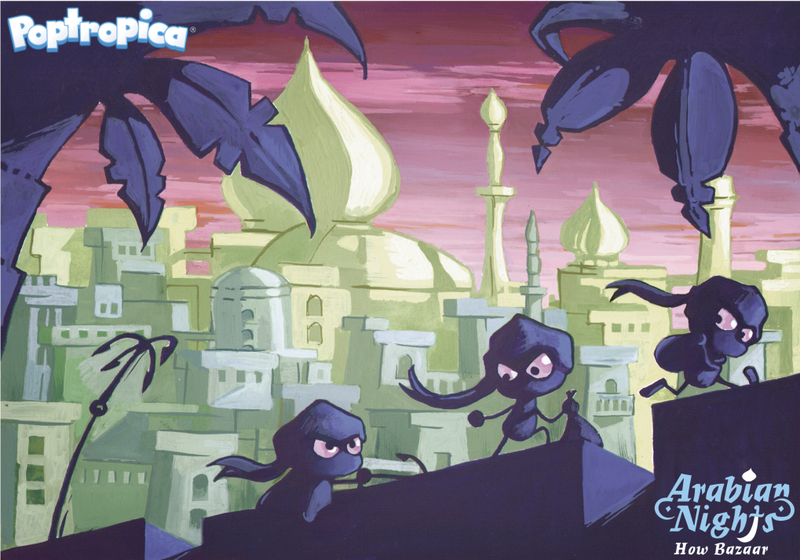 Last but not least, there's a new winner for the Poptropica Hide & Seek competition! Congratulations to Slippery Dragon, who correctly guessed the picture below. Want to know what the answer was, or compete in the next Hide&Seek challenge? Head on over to the Games page now! As an aside, can you believe that the Hide & Seek contest has been running for five years now? Wow, I feel old ;). You can check out all the previous winners and images that have been featured in the contest by going to the Guess Where I Am blog tag (that's what the contest used to be called before it was briefly interrupted and renamed in 2013). Enjoy, and make sure you participate in the latest round! Oh, and before I leave another long mega-post: The Poptropica Help Blog is running their annual Poppies award contest! In case you haven't heard of it, it's an awards ceremony for the Poptropica community, and it's in the nominations phase right now. You can vote for your favorite islands, characters, and even favorite fansite! Time is running out, so make sure to fill out the form and nominate Poptrickia for best fansite! The New Poptropica Island Map! Just weeks after promising big changes, the Creators have surprised us with: a brand-new Island Map! Originally, all islands were rendered in outline on the island map, which changed when the SUI islands were introduced. Now, they've changed it again, adding color to the icons of the classic islands. Even though not all of them have actually been updated yet, we've been suspecting that the Creators have plans to upgrade more classic islands. Could this be an indication that they are heading towards that? Personally, I think it looks great to have them all be in color! Also, the brighter colors all over the map looks cheerier, and it has a lot more appeal to newer/younger players. But I do have one gripe, something that's hard to see unless you look too closely: the artists who made the originals did not have color in mind, so they used a lot of small details that looked great in outline. But when color is added, it makes them look slightly... brittle. Take a look at the image above: the windows on the Super Villain island logo's tower look really thin and (unintentionally) shimmery, whereas the Mission Atlantis one has much better shapes and proportions. Also, the newer island logos just look too small; this may be out of necessity, but it kind of exacerbates the small-details issue. In general though, I think the actual choice of colors is done pretty well and looks awesome! The next big change is the new island info screen that now appears when you click on an island. It shows you the level of difficulty for the island, how many times you've completed it before, the official description of the island from its Island Tour Page, and--the coolest part--a progress bar that shows you how close you are to finishing the island! (The progress bar for each island is also shown in front of it's icon from the map screen). How the difficulty is calculated is a mystery to me (you can see my own ratings for all the islands on the Walkthroughs page), but I'm sure that the Creators have access to a lot more data about player behavior, and they probably based this on analysis of how much time it actually takes the average player to beat that island for the first time. (Also, older players will remember that on the even older Island map -- the one before 2012 -- the islands would show difficulty ratings when you moved your mouse over them). On a similar note, the new order/organization of the islands across the 8 pages of the new map may look completely random at first glance -- but according to the Creators, it's actually based on how popular each one actually is among players. Personally I feel that the order should be mixed up from time to time so that newer islands are still at the top, but the lesser-known ones still get cycled to the front occasionally, letting players rediscover them. 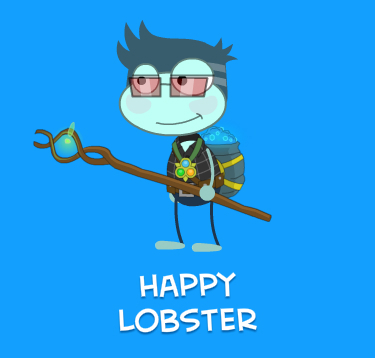 Image credit Poptropica Help Blog. 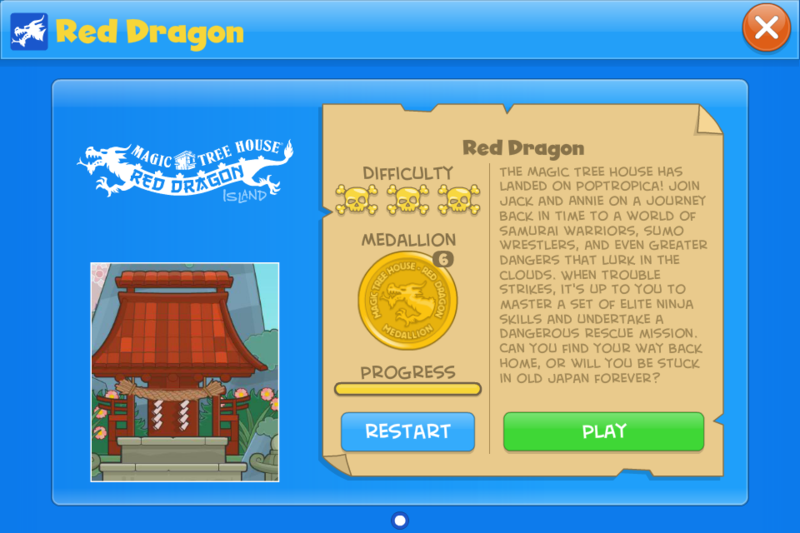 The progress bar is the most interesting addition -- there's never been anything on Poptropica like it. Or has there? 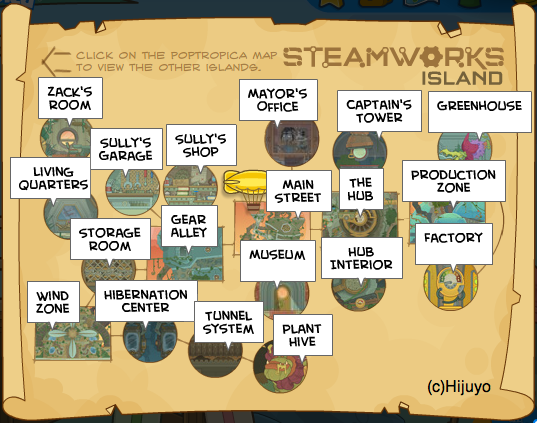 A long time ago, classic islands on Poptropica all had a map (a map of all the rooms on the island itself). At first all of the rooms had question marks over them, but as you got through the island, they would be revealed and you could see the names of the scenes. Also, the map showed the links between the rooms, so you had a rough idea of how far you were. So the new progress bar is quite similar to that feature. 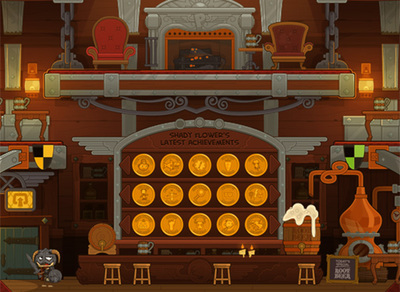 ​Behind the scenes, the gameplay of all islands is split up into things called "events." Basically, whenever anything changes in the state of the game, like collecting an item or getting past a certain point in the story, the game is automatically saved and an event is added. When all events are completed, you get the island medallion. So the new progress bar is probably visually showing you how many of the total number of events you have completed for that island or episode. Wow, that's a huge amount of new changes! Another recent change that's related: now, when you log in, instead of going to the old Home screen (with the quizzes and the "Return to Game" button and the news slideshow), you go straight to Home Island. From there, you can click the "Return to Game" icon floating underneath the bridge. I think this change makes a lot of sense because, for one, most of the important features for the old Home screen were already obsoleted (the quizzes are also on the Friends page, you can see recent Poptropica news from the homepage now before you start playing, etc.) So it was just getting in the way. Also, with the new change, you go straight to the SUI engine when you log in. If all you want to do is play the recent islands, you never have to go through the classic engine. So this appeals to newer players, and also brings Poptropica one step closer to phasing out the classic engine and moving towards the more modern one. But aside from that, the Creators recently told us that later this year there will be an even newer Poptropica engine -- and this time they'll be using Unity, not Flash! 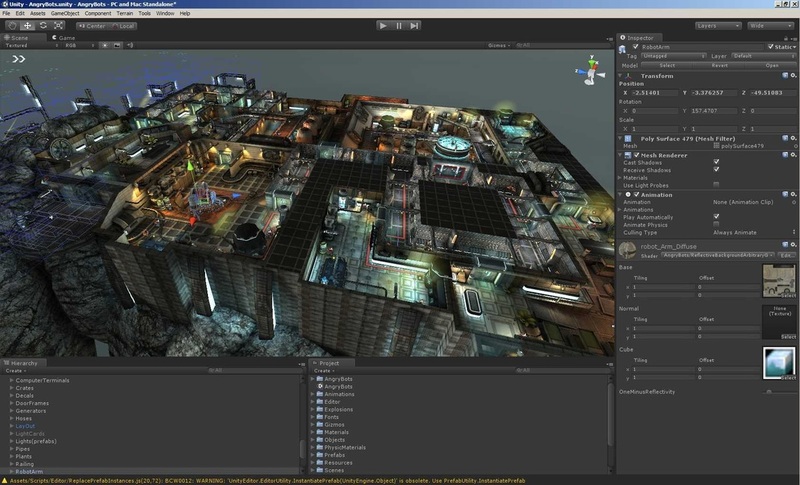 In case you aren't familiar with Unity, it's a game development program that is mainly used to make 3D games. Unlike Flash, which creates a SWF file that your browser then runs, Unity can either create an app (for desktop or mobile), or a webpage with your game in it. This means that the new Poptropica, built in Unity, will still run in browsers and on mobile apps -- hooray! And since it'll be compiled, it'll run even faster. But all this Unity stuff raises an even more intriguing possibility: will the new Poptropica be in 3D? Although Unity can do 2D just fine, it's mainly used to create 3D games. Will the Creators basically be porting the old Poptropica to Unity, or will they actually be re-imagining it in 3D? 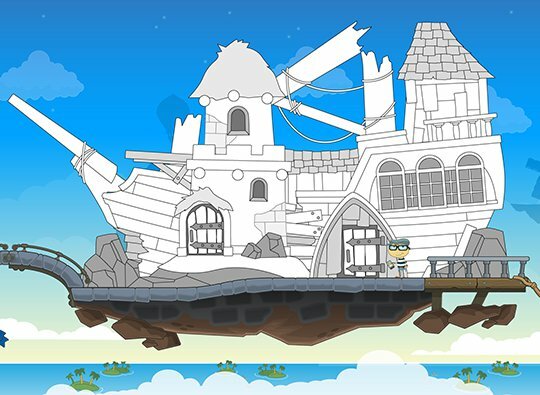 I think now that they're making such a large shift, they have a perfect opportunity to redesign Poptropica from the ground-up. I'm not sure what sorts of features they're thinking of, but whatever it is, it's sure to be very new and different from anything we've seen so far! 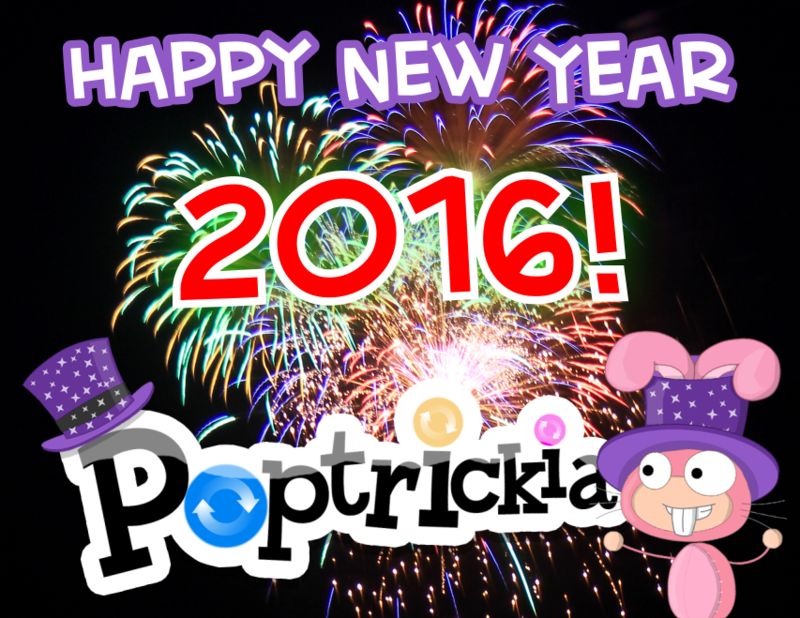 First of all: Many apologies for the very long delay in updates here on Poptrickia! Trust me, I haven't abandoned you; I've just been extremely busy because of the robotics team that I'm a part of, and balancing all my schoolwork and tests and projects on top of that. Now that I'm starting to get my life back in order again, I'm going to try to give Poptrickia the attention it deserves. So I bring you the traditional post-hiatus... MEGA-POST! In recent news, the new Feats of Speed minigame is sweeping the Pop-nation. Why? Well, because it's the first time you can get shoes as an item your Poptropican can wear! 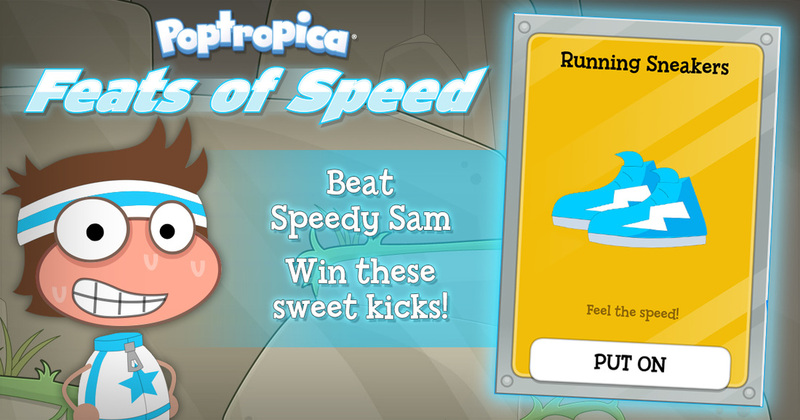 All you have to do is go on Home Island and challenge Speedy Sam on his treadmill. If you defeat him at his own game, he'll give you the shoes. Each week, the color of the shoes, the type of the game, and the setting changes. So far, there's been purple, maroon, and blue shoes. 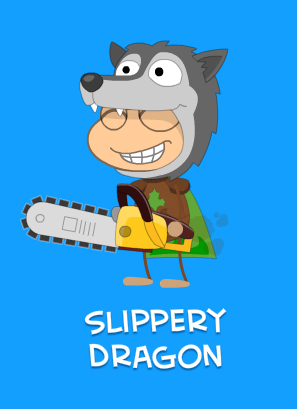 If only the new Poptropica had a "Turn off Special Actions" feature like the classic one did. 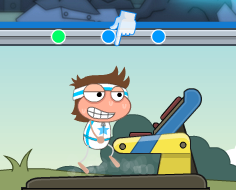 (Technically though, this isn't the first time a Poptropican has been able to wear shoes, e.g. the Booted Bandit on Pelican Rock and another case I can't remember; it's just that this is the first time you can permanently wear shoes on your own Poptropican). 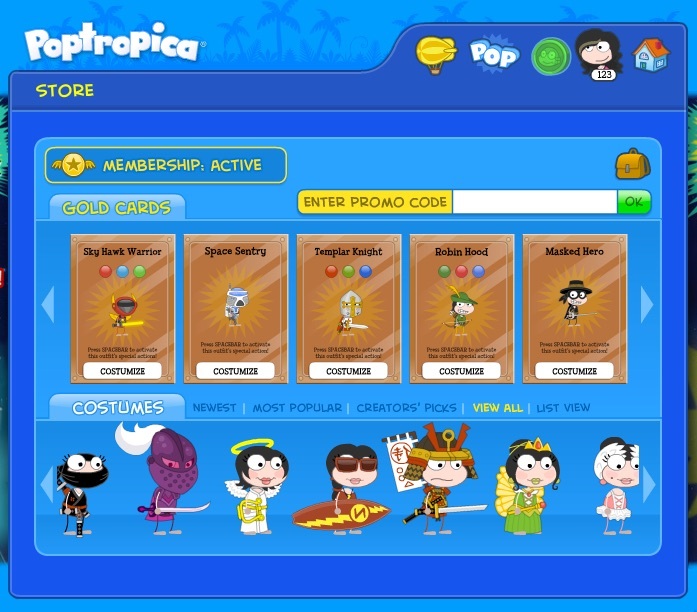 First of all, the entire "look" of Poptropica (the website and the app) will get an overhaul. This could include the UI, and making it so that there isn't such a jarring border between classic Poptropica (with the old Islands, the Daily Pop, and Friends) and the newer interface (modern Islands, Realms, etc). They could be making a full transition to the newer mode. We've already seen indications of this, as they are making the menu in the newer islands , the older islands, and the Home screen more and more similar. 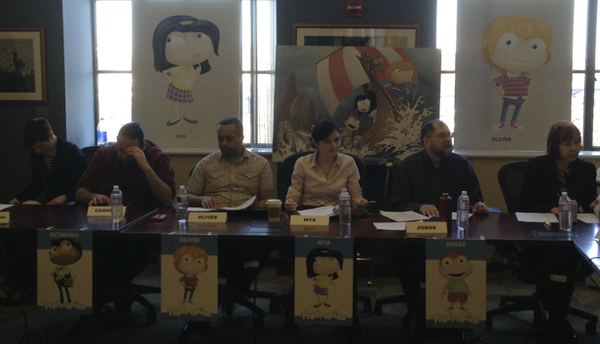 Also, the concept of the Poptropican itself is going to change at a fundamental level. Something that's been virtually the same since the game's start in 2007. They've already given us shoes, which could actually be some sort of experiment into how players will react to the bigger change they're planning next year. We'll see some "new designs, new movements, and new looks for the Poptropican avatar," as well as an oft-requested feature: pets. ​Now this all seems intriguing, but we don't have enough information yet, so I can't really tell how "pets" will be different from, say, followers, and how the upgraded "designs and movements" will be different from the new player animations that we see in the newer Islands. It sounds like it has the potential to be a cool addition, but only time will tell, I guess. And lastly, Skinny Moon mentions "the idea of a unified story that connects all of Poptropica in a way that we’ve never done before." This, to me, is the most concrete suggestion so far. It could be like Poptropica's origin story, something that is already being explored through Mystery of the Map, and possibly something that ties in with the Poptropica TV show that the Creators have been hinting at for nearly a year. There's more, but it's so vague that it's nonsensical at this point. 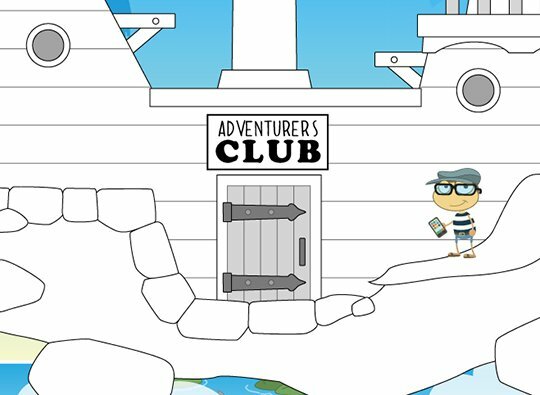 Normally Poptropica has a habit of developing new features and stories somewhat secretly in the background, and then suddenly jumping the news on us. It's not necessarily a bad thing -- it's always a nice surprise -- but it has led to many people looking for alternative sources of information for sneak peeks, like Poptrickia and other fan blogs. Now they're taking a new direction, by telling us the vague outline of their plan far ahead of schedule. Was that a good idea? Only time will tell. Monkey Wrench Island has been released! This island is quite unique in that it's geared specifically towards newer players, focusing on teaching simple Poptropica skills. Yet it's still got the storyline and island development that old players are looking for in a new island. I haven't actually had time to play through it yet -- I know, shame on me -- but since it's very straightforward I think you guys will be fine if I don't make the walkthrough for a while. 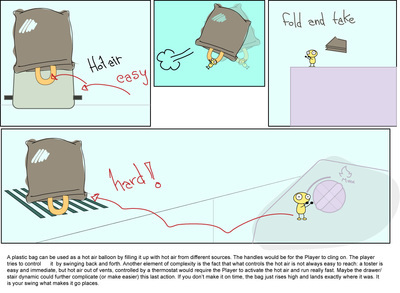 All in all, I think it's about time that Poptropica got a proper tutorial. 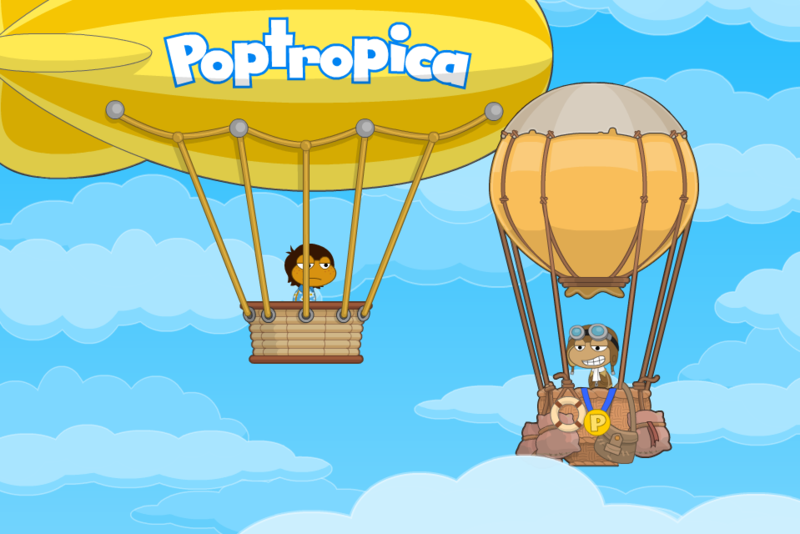 For the longest time the best introduction that new players had was Early Poptropica Island. Simple, yes, but it's not self-explanatory nor is it exactly the pinnacle of Poptropica creative achievement. The Home Island tried to correct that, but it still fell short in my opinion, seeming more like a detached and abstract overview of the controls than a true taste of the game. Now a real island with a storyline, characters, and dare I say, a heart of its own, is the first real tutorial! And the Poptrickia Hide & Seek game is back again! This time, congratulations to Tall Cactus, the latest winner! She correctly guessed the special animated image to the right. There's already a new one up, so check it out on the Hide & Seek page! Home Island to become Skydock Island? First post of 2016! I'm going to kick the year off with an exciting start by showing off some evidence and sneak peeks, relating to an upcoming overhaul of the Home/Tutorial island on Poptropica! And it's quite a big update. First of all, a lot of recent sneak peeks starting from mid-November of last year have some surprising similarities: they all hint at some sort of large ship. 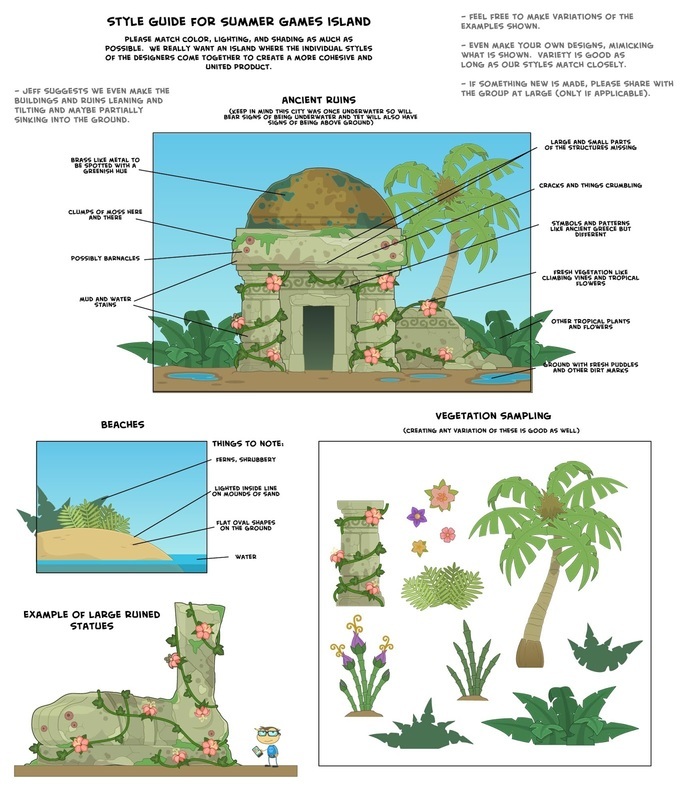 In the first one, you see the distinctive style of Home Island: the building in the foreground hovering on rocks above an ocean full of Poptropica Islands below. 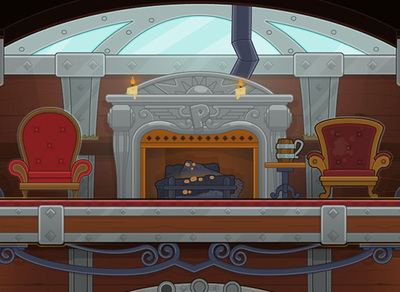 From these, it looks like there's soon going to be a ship-themed update to the Home island. 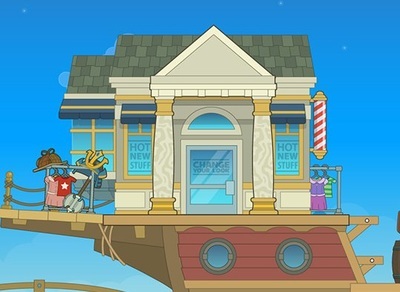 Instead of the current version with shops spaced out on a street, the new one will be a large ship with doors to various shops and interactive things pertaining to your Poptropican. Cool! Looking at the last two, it seems like your Island Medallions will be showcased in a room on Home Island as well, rather than on the Friends page as they are right now. This brings up a lot of interesting possibilities: will everything eventually be converted from its place on the classic Home screen (like Friends and the Daily Pop) to rooms on Home Island? Maybe Friends could even become a sort of common room! These are actually scenes by the Creators that are in the earliest stages. Even though they're mainly just line drawings and text on a black background, the descriptions are already getting me excited for the update :). It looks like the Creators are planning a lot of creative additions to Home Island this year. ​It looks like the Creators themselves are still working out the details though, like for instance how the rooms will look like and how they'll be connected, so the final product may be different from what I've outlined here. But so far this looks like the gist of it. And I'm definitely looking forward to this huge update! ​You: The view is great from up here! 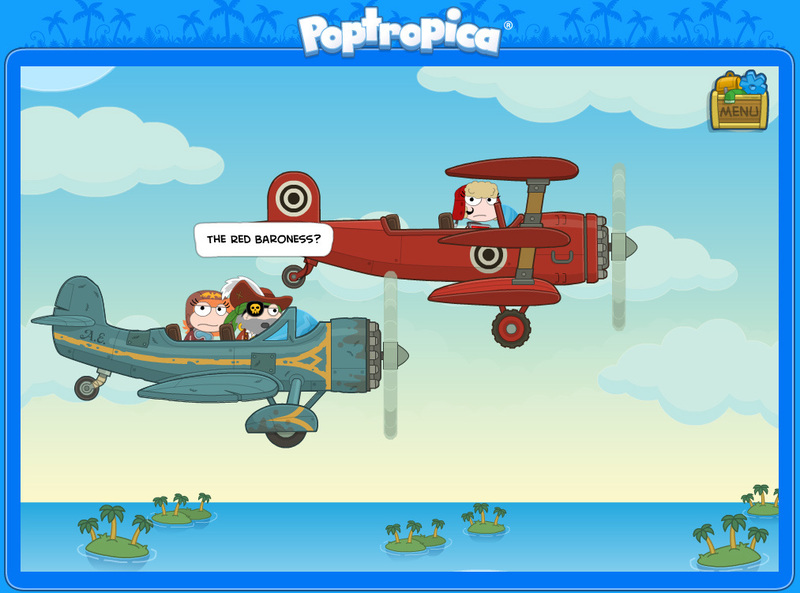 You: Are you on your way to Poptropica too? Pilot: I sure am! But first, a minor course correction. Pilot: Oh no! The medallion! Pilot: I see where it landed, I am going after it! Pilot: Want to join me in an adventure? Then the pilot offers you a choice to either do the medallion-shard-finding tutorial or to go to Home. So basically, the medallion is in pieces down there because the Pilot dropped it from his own balloon. Interesting backstory. 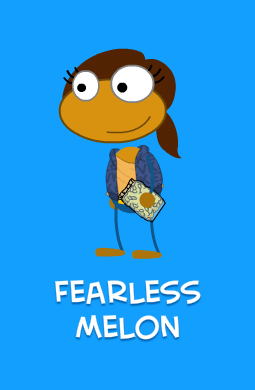 In other news... Congratulations to Fearless Melon, who won the previous Poptropica Hide & Seek competition! She correctly guessed the image below. If you want to know the answer to last week's or, better yet, try your hand at it again, the newest image is up already at the Games page. Arabian Nights got an incredibly successful finale in Episode 3. It was interesting to see a Poptropica Island that is so deep and ends with an actual message. Even though the island pushed the theme of how bad greed is, it wasn't cheesy or annoying at all, and actually made the island more enjoyable in my opinion. A surprising total of 3 sponsored islands were released this year: Galactic Hot Dogs, Mystery of the Map, and Timmy Failure. Interestingly, all three were based on comic books (Mystery of the Map was based on Poptropica's own comic book series of the same name). 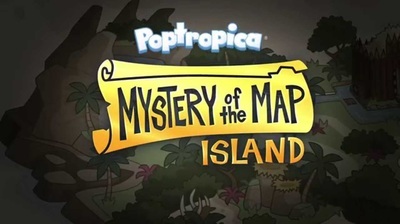 Add this to the fact that Poptropica's been closely tied with Funbrain in the past, and you can see that a lot of Poptropica's target demographic is heavily interested in comics and reading, which probably influences how even their original islands are developed. As for the islands themselves, the reactions were fairly the same for each: good art and music, but weak storyline. 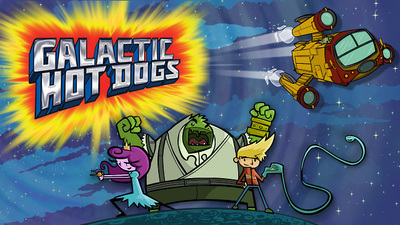 Galactic Hot Dogs in particular got called out for its laughably easy gameplay. Although by now, all indications are that Poptropica is recovering well. The Creators kind of paid us back in their own way with the many giveaways of Credits this year (e.g. 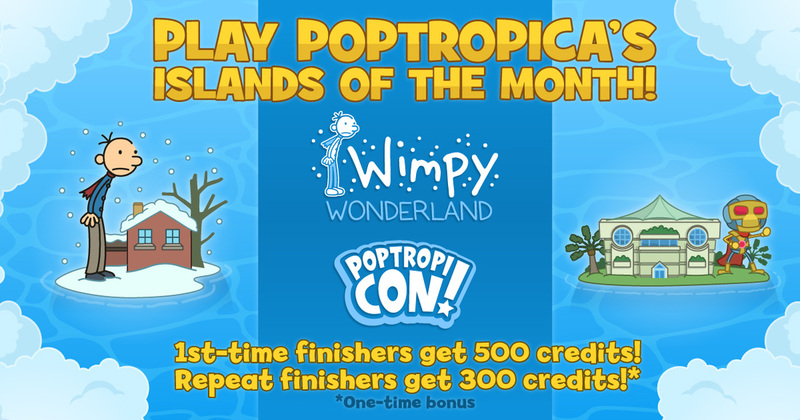 tripling the amount of credits given for winning islands, all the freebies leading up to Timmy Failure Island, and the Daily Pop-in Prizes). Credits can't buy Early Access to new and locked islands anymore (not since 2010 I think), but they do give non-Members much more access to the Store (which Members can just borrow infinite items from). Last but not least, the mobile app got quite a few upgrades that brought it close to the quality of the desktop version, including many multiplayer features and importing desktop looks. No logging in has been implemented yet, though, and islands no longer cost money, so it looks like the app is going to be free for all. And Poptropica Realms has also come along quite well, adding many immersive features as well as sharing. The post doesn't end here -- click Read More below to see more New Year's stuff! 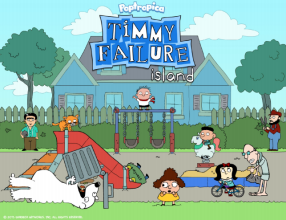 One of the first things that struck me this island was the high attention to detail, in the art and soundtrack, that I felt were missing from some of the more recent islands, especially Timmy Failure, Mystery of the Map, and Galactic Hot Dogs. The soundtrack and original music were well-mixed and matched the atmosphere perfectly. Although the consistently drab colors dampen the mood after you've been playing for a while, they are appropriate for the atmosphere of the prison, so there. Even the outdoor rec yard manages to have a gloomy air somehow :). The gameplay was one of the most interesting parts of the Island's experience. 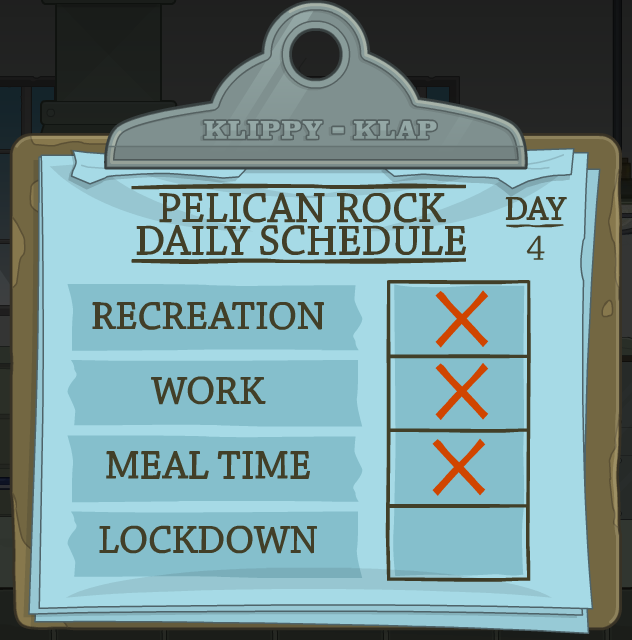 It involved a lot of repetition, in the day-by-day cycles of prison life, and with the guards rigidly maintaining order and rushing you to your next session of the day, there was also a sense of a lack of freedom that usually doesn't appear in Poptropica islands. Although it was pretty frustrating, especially you were stuck, I think it was the the main thing that contributed to the sense of being trapped in prison. It really created the atmosphere of the island. 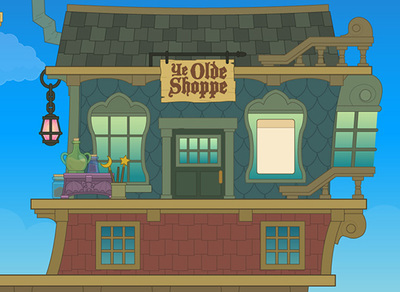 This is the first time Poptropica really went into a prison setting in such detail and realism; previous prisons in Poptropica were mainly jokes that either set up some part of the plot (Super Villain, Ghost Story) or were simply very easy to get out of (Super Power, Wild West, etc). The story of Pelican Rock was all focused on that. The story itself was somewhat unoriginal: you're framed for a crime, thrown in prison, and team up with your fellow inmates to break out under the prison guards' noses and clear your name. However, that's not to say it wasn't executed well, which it sure was! All the different prison characters were fairly well-developed, with different personalities, and you even come to like Marion, Patches, Van Nostrand, and Flambe by the end of it. I give it a 4.5/5. I'll admit it, I was pleasantly surprised. If you haven't played it yet, what are you waiting for? Make sure to check out the Island guide! Before the post is out -- has anyone noticed Poptrickia's new profile picture on Twitter and YouTube? It's based on the site logo designed by HPuterpop that's been up on Poptrickia for a while.